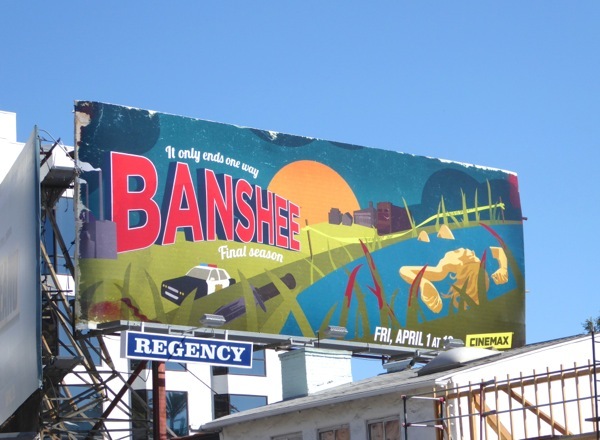 Death by arrows, gunshots, arson and now a watery grave, it's lucky that Cinemax's Banshee is ending this season as it would get harder and harder to keep creating these illustrated ad creatives each season. 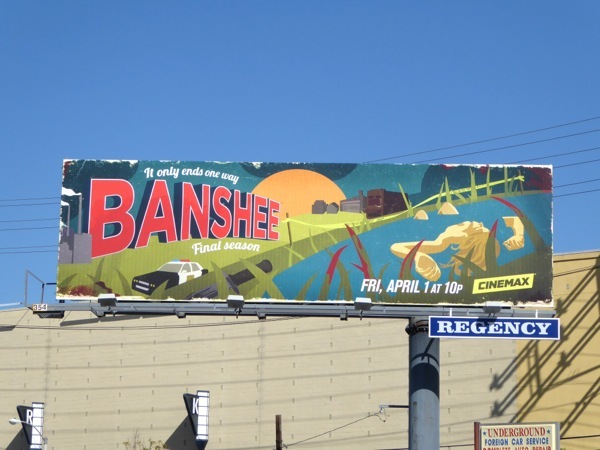 This time the action picks up two years after last season's bloody finale, as for Antony Starr's 'Lucas Hood' it's time to mourn his losses and solve more mysteries, including a new serial killer, in the surprisingly violent hamlet of Banshee, Pennsylvania. 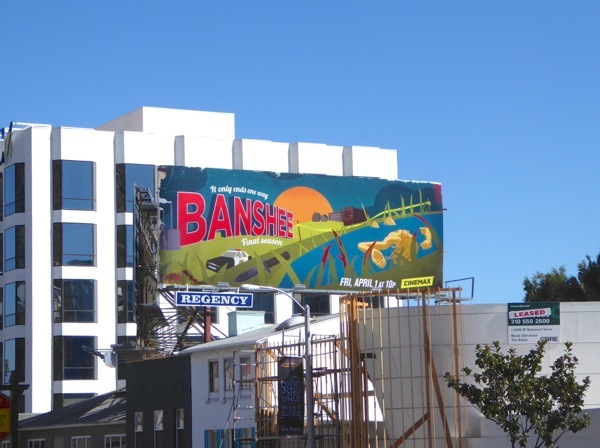 This fourth and final season billboard was snapped above West Hollywood's busy Sunset Strip on March 8, plus later along La Brea Avenue on March 16, 2016. 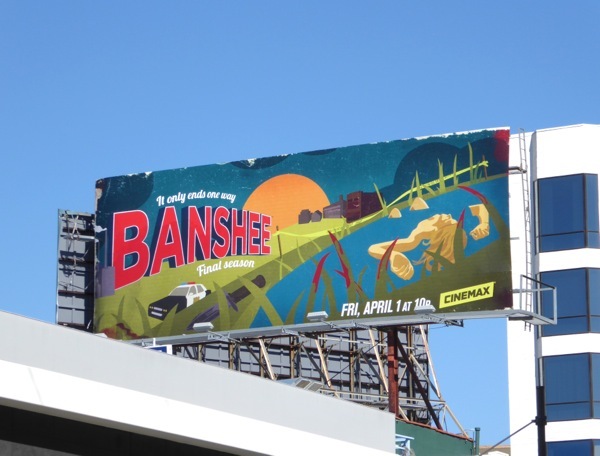 If you're a fan of the cult favourite, be sure to also check out all these previous season billboards for Banshee. 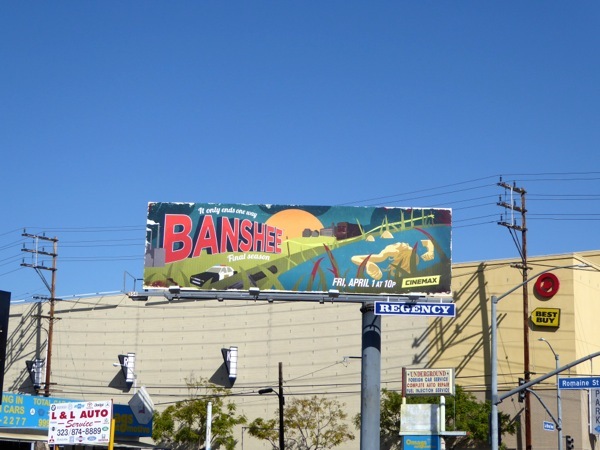 It's time to say your goodbyes as you know 'it only ends one way'.